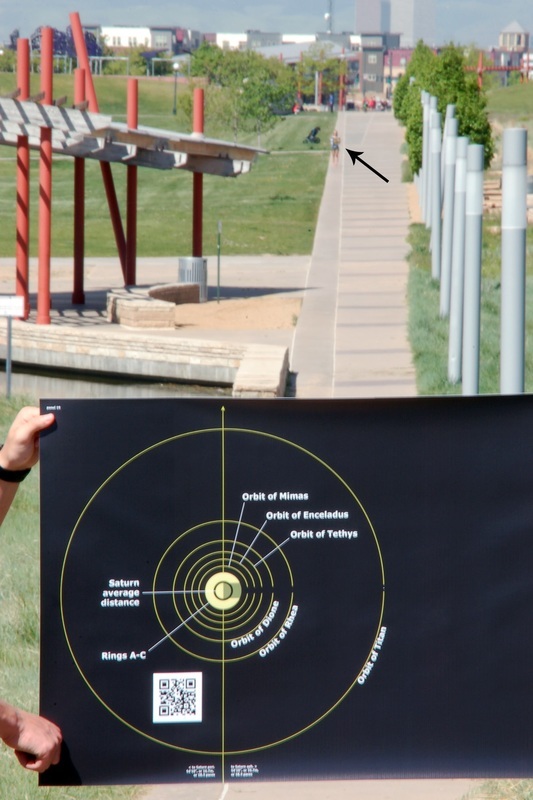 The black arrow is pointing to a person who is holding a panel with an image of the Sun that is about the size of a dinner plate. (Since she is over three football fields distant, you will just have to take our word for that!) The Saturn panel in the foreground is located at a position corresponding to its average orbital distance from the Sun. On this panel, the planet is about the size of a cherry. Also shown are Saturn's major moons, at the correct proportions, and at the corresponding orbital distances from Saturn. 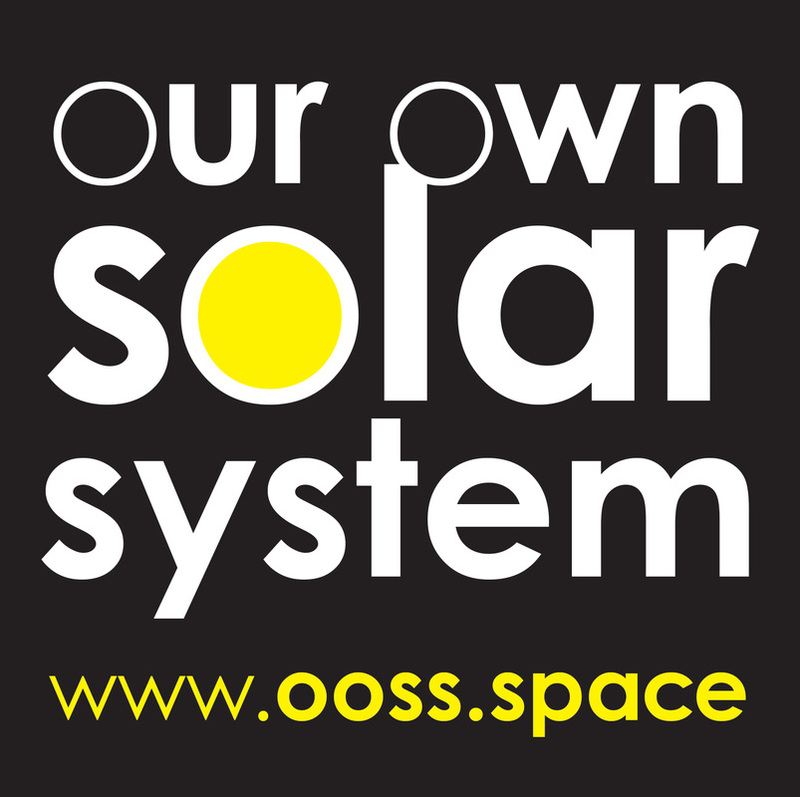 OOSS models include the rest of our Solar System at this same scale, and at this same level of detail. Each panel indicates the correct distance to the next panel, allowing you to easily demonstrate a correctly-scaled exhibit of the Solar System.